My slow cooker is one of my best friends in the kitchen. There is nothing better than coming home to the savory smells of a warm, home-cooked dinner all ready to go. My new resolution is to be more efficient in the kitchen by cooking larger meals to last for a few days. The slow cooker , or crock pot, makes this easy. 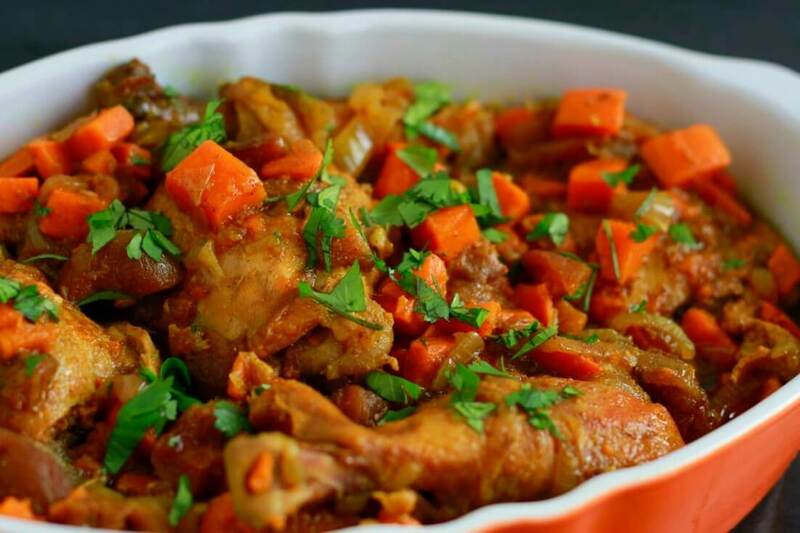 This week’s recipe: Slow Cooker Moroccan Chicken. Chicken is chicken and can sometimes get boring. But not with this recipe. 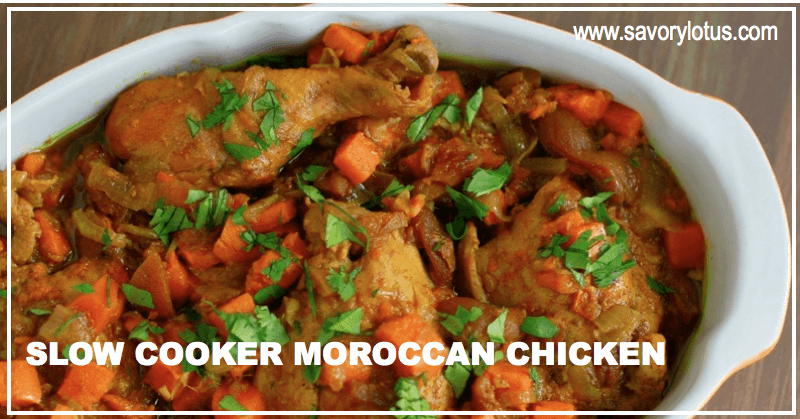 Slow Cooker Moroccan Chicken is a sweet and savory dish bursting with flavor. 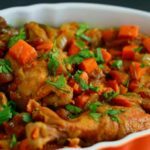 Loaded with traditional Moroccan spices and sweet apricots, your family will appreciate this exotic comfort meal. Even though life gets full and I’m busy working on new recipes and editing photos, I still want my family to eat wholesome REAL food daily. Having a slow cooker makes this possible. With just a few minutes of prep in the morning, dinner cooks itself as I chase my toddler, fold the laundry, wash the dishes, and work on my blog. 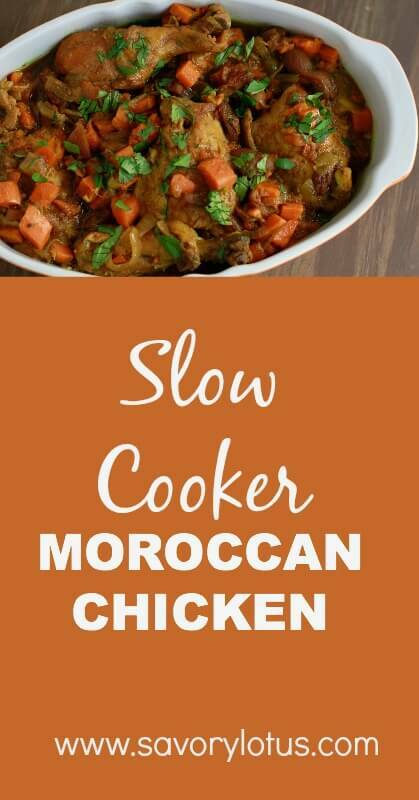 I was amazed at the smells pouring out of my kitchen as this Slow Cooker Moroccan Chicken cooked. When it was done, we ladled it over steamed greens and happily gobbled it all up. Next time I’m definitely going to double the recipe. NOTE: I usually like to sear my chicken pieces and saute my onions and spices before hand for extra flavor. I also add my veggies in half way through as I prefer them a bit less cooked. But if you are short on time, you can just throw it all into the slow cooker in the morning without all the fuss and it will still be amazing. Oh, and if thighs and drumsticks are not your thing, feel free to use chicken breasts as well. The slow cooker is versatile and forgiving. Combine cumin, turmeric, coriander, cinnamon, cardamom, and minced garlic (and optional cayenne) in a small bowl. Set aside. Melt the fat of choice on medium heat in a large skillet and cook chicken pieces for 3 minutes on each side. You may need to do this in batches if your pan is not big enough. Transfer into crock pot (I use this one) as you are done. When chicken is done, add onions to pan and saute for 3-4 minutes. Add spice mixture and saute another 30 seconds to bring out the flavors. Add extra fat if it begins to stick. Turn off heat. Add bone broth, ginger, and sea salt into skillet and then pour entire mixture mixture over the chicken in the crock pot. Cook for 3 hours on LOW then add the dried apricots and chopped sweet potatoes (or carrots/winter squash). Cook for at least another 3 hours. Enjoy! Serve with lots of fresh cilantro for a fragrant, amazing meal. I usually like to sear my chicken pieces and saute my onions and spices before hand for extra flavor. I also add my veggies in half way through as I prefer them a bit less cooked. But if you are short on time, you can just throw it all into the slow cooker in the morning without all the fuss and it will still be amazing. Do you have a favorite slow cooker recipe? Please share in the comments below. This looks so delicious….I’m making this for dinner as I have all the ingredients on hand. My chicken is frozen though, should I thaw it out a little first or just dump it all in and add some extra time? Thank you for posting. Either way. It will defrost in the crock pot if you throw it in frozen. If you want to sear the chicken first, you would have to defrost it first. Let me know how it turns out. 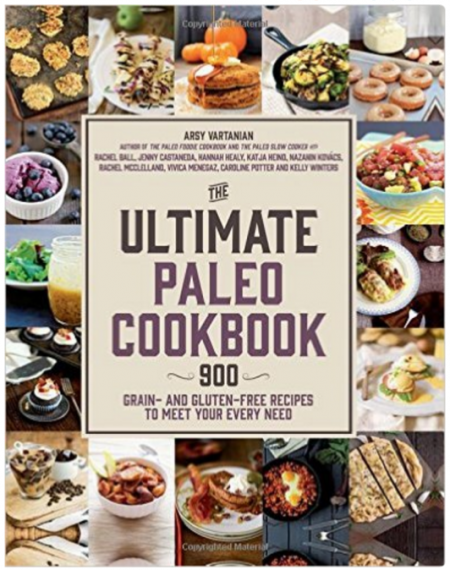 I just wanted to say thank you for all the great recipes! You have brightened up our meal rotation and I feel good about the things we’re eating. Oh, and this one was one of my favorites. Great job! Going to try this today Katja so we can have it for our evening meal. Think I will brown the chicken first and add veggies later as you suggest. Let you know how it goes – ok? Did your recipe in the slow cooker yesterday. Nearly forgot the apricots towards the end ! It turned out really well and got some great compliments. Did it in my new slow cooker. One and a half hours on high and 6 hours on low. It jus fell off the bone and tasted delicious. Can I cook this on high if I would like it to be done sooner? If so how long should I cook it for? Thank you! You can cook it on high. Not sure exactly how long it would take. I haven’t tried it. I prefer a slower cooking time as it makes the chicken super tender. I would check it after 4 hours. Hope that helps. 1) how many does this serve? 2) Im leaving out the apricots, as we don’t eat fruit. I am gonna add some winter squash. Any other suggestions? Thanks! It looks great and easy! This serves 4-6 people. I think that winter squash would be amazing in this. I would add it half way through so it doesn’t overcook. Would love to hear how it goes! Have you ever tried this with boneless skinless chicken breasts or thighs? I wish I could change this, but my husband is just not a fan of eating meat off the bone. I want to try this recipe, as it sounds so delicious, but am wondering if it will turn out as well without the extra flavor from meat on the bone. I made it with boneless breasts … it was still delicious. The second 3 hours could be cut in half … the sweet potatoes were soft. so made this the other day and the spices turned bright green. Im talking toxic neon green. The sauce was green on our plates, my sink and pan were stained green, and now Im frying green bacon in the same pan lol. Is that normal? Hi, Helena! Green??? That is so weird??? I have no idea what that could be. I have never heard of that. Many many people have made this recipe and I have never gotten that feedback. I cannot think of anything in the recipe that would make it green???? What kind of pan did you use???? Tried this Moroccan chicken & it is to die for. Not a lot of muss & fuss. Tonight I am going to use up leftover turkey with this recipe as a guide. Won’t need to slow cook it as the turkey is already cooked, but will get everything else going & flavors nicely blended before adding the turkey in. Thanks for this….I’ll use it a lot! what could be a good paring for a side dish? So delicious! I didn’t have dried apricots so used raisins instead, very delicious! Someone earlier suggested serving with cauliflower, I think that would be a great side! Made 1.5 x recipe for guests. I’d never made it before. A smash hit! Thank you, Katja!!! I am sure it will be delicious anyway. Kindest of regards and thank you. Hi. I am making this dish tomorrow and I can’t tell from the recipe what kind of bone broth you mean? I assume chicken? Thanks. Thank you so, so much for this recipe! I made it several months ago and it was absolutely delicious. I am making it again today and can’t wait. I notice that a lot of slow cooker recipes, including this one, call for cooking the meat a little before adding it to the crockpot. Is this a necessary step/what’s the advantage? Do you think any other vegetables could be thrown into this dish and work well? I cook the meat beforehand for a little extra deep flavor. It is totally optional and will be fine if you don’t do it. And yes, you can add any veggies that you like. The recipe is super versatile. This recipe looks delicious! I do have some frozen chicken breast and tenderloins that I could use. 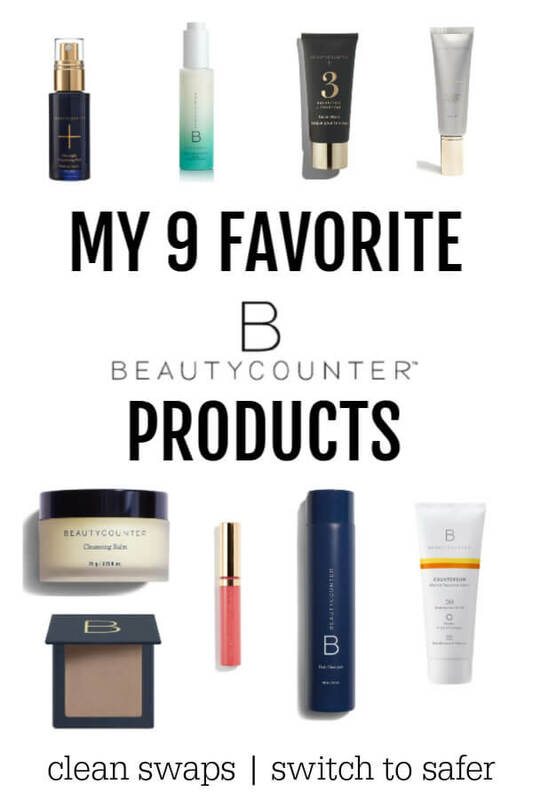 Which do you recommend and how much? I have a 4-quart slow cooker. Also, do I need to change any of the quantities? You can use any parts of chicken that you like. You could try 2 pounds if your slow cooker is smaller. I have never used a 4 quart slow cooker, but I’m guessing that all of this should fit into it. Would love to hear how it goes if you try it. I’ve made this a couple of times now and have found there’s enough liquid to double the sweet potatoes and apricots and even add a bunch of carrots and a large onion (instead of the 1/2 medium onion). I keep getting tempted to try it with a handful of raisins as well. Raisons would be delish in this recipe. I like to double up on the veggies too! I made this dish and it’s so good!! I love the combination of flavors and the sweetness that Moroccan dishes have. Thank you so much for sharing such a yummy and healthy recipe!! Yay! I love hearing that. Thank you for the kind words. I’m wanting to make this recipe today but was wondering if you could substitute the bone broth with chicken stock instead?